Sweet Chaos Home: Chicken Velvet Soup... Yum! There's nothing like good soup on a cold winter's day. While we watched the Packers/Giants game last night, I whipped up this really easy and delicious chicken velvet soup. This soup was a very popular item on the menu of the historic L.S. 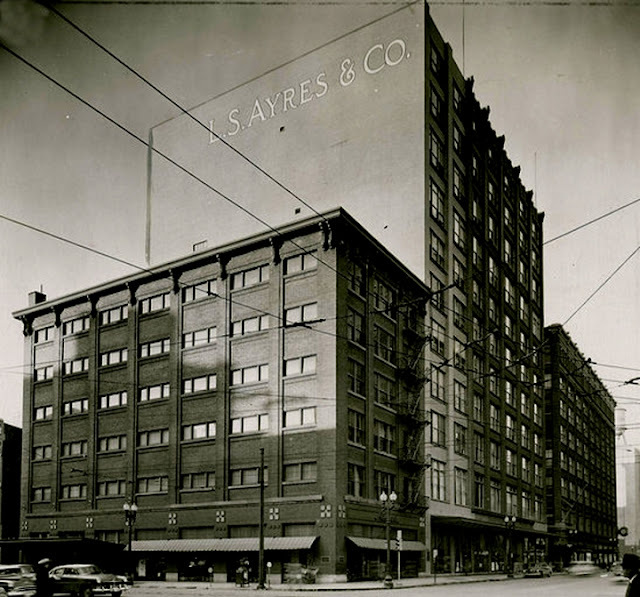 Ayres Tearoom in Indianapolis. 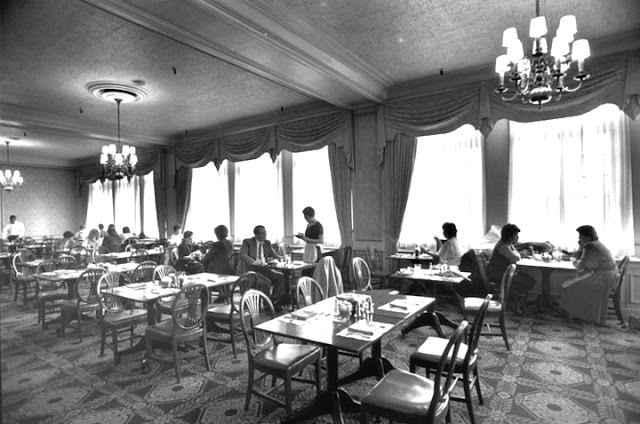 The tearoom, which operated from 1905 to 1990, was a meeting place for downtown businessmen, ladies who "lunched" and children learning manners. Fashion models would walk table to table, donning the latest fashions. But, rest assured, the soup tastes just as good in blue jeans in front of the football game. Combine butter and flour, blending well. Add warm milk, pint of hot chicken stock and warm cream. After cooking well, add remaining ingredients. Makes two quarts. Sounds yummy, Carolyn. The perfect thing for the football game. I'm making a tomatoe and parmesan soup today to ward of the winter chill. I so enjoy your blog, but today in particular brought back some very fond memories, and a few tears; my mom, sister, and I were regular visitors to the Tea Room. We felt so very special when there, and always on our best behavior or else no visit to the treasure chest! Thanks Carolyn! That looks good. Sometimes it's the simplest recipes that taste the best. Thanks for sharing! This looks delicious! I pinned it so that I can remember it on a cold night! Jane, I'm so happy to hear from you! It's nice to know I've written something that brought back a happy memory for you. Wish the Tea Room was still around. I would love to take my boys there for lunch (and some table manner lessons!). Thanks for checking my blog out and following along. Your house is AMAZING! I am in awe. Love this and the blue jeans statement! I want to try this recipe! I was wondering if you were from Indiana when I read this post. It's nice to meet a fellow Hoosier!